John Sculley helped build brands including Pepsi and Apple into what they are today. Here's how he did it. 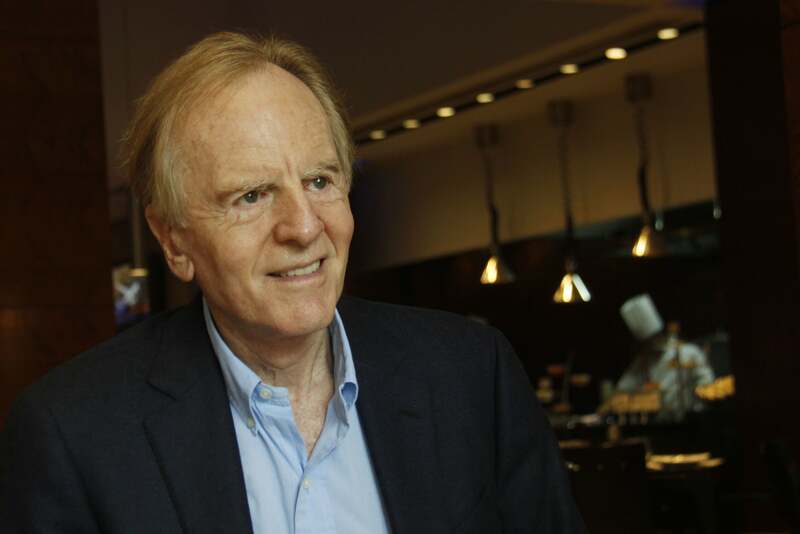 With a business resume like John Sculley’s, you can’t help but name-drop. He was the president of PepsiCo, CEO of Apple and a founding team member at MetroPCS. Now, he’s CMO at RxAdvance, a national pharmacy benefit manager. Under Sculley’s leadership in the 1970s and early ‘80s, PepsiCo’s marketing campaigns brought it closer to Coca-Cola’s standard market share. He later helped build MetroPCS into a $9 billion company before its sale to T-Mobile. And although his famously tenuous relationship with Steve Jobs led to the latter’s temporary departure from his own company, during Sculley’s 10 years at Apple, he says the company’s growth ballooned more than 1,000 percent. More than five decades in the business world have taught Sculley growth and marketing strategies that he treats as touchstones to this day. Here are Sculley's top four tips for growing your business idea and marketing your way to success. 1. Use perceived weaknesses to your advantage. Sculley was head of Pepsi’s marketing efforts during the height of the “cola wars” -- a series of head-to-head campaigns between PepsiCo and The Coca-Cola Company in the 1980s. “Coke was the most valuable brand in the world at that time,” Sculley says. “They owned reality -- everyone looked to them as leader.” Because of that, he knew that if people saw the brand names next to each other on bottles, they’d likely choose the popular option: Coca-Cola. But when a series of blind taste tests resulted in people preferring Pepsi, Sculley decided to encourage people to think differently about the industry. The ensuing campaign, called the “Pepsi Challenge,” launched in San Antonio, Tex. -- a market where the beverage was outsold by Coca-Cola 12 to 1. They filmed people taking blind taste tests, then ran commercials featuring those who chose Pepsi. “The more [Coca-Cola] complained, the more we sold,” Sculley says. Make a list of any fears you’ve adopted about why your business idea won’t work. Then spend time brainstorming ways to turn them into advantages. If you’re worried your product or service would trail competition, think about ways you could to turn it into an industry dark horse. If you don’t have as large of a team as you would like, bill your endeavor as an intimate business that individually responds to each customer. Changing your mindset could very well change your business outcome. 2. Be able to explain your idea in a simple way. As the saying goes, “You don’t really understand something unless you can explain it to your grandmother.” No matter how complex your idea is, you need to be able to explain it simply to anyone. This won’t just help you sell your product or service -- it’ll also help attract quality people to team up with. 3. Don’t take any shortcuts on customer experience. When gearing up to launch the first Macintosh computer in 1984, Apple was running low on time. Sculley remembers an engineer showing Jobs the computer’s motherboard before the launch event -- and Jobs rejecting it on sight because of its layout and aesthetics. Sculley remembers the engineer telling Jobs, “No one will ever see it -- no one will know!” Jobs allegedly responded, “I’ll know.” And that was that. The motherboard was redesigned in a classic example of Jobs’s “no compromise” approach to his products and user experience. Sticking to your guns -- what you believe in from the very beginning -- can be key for success as an entrepreneur. “The greatest companies are focused on the customer from the very start,” Sculley says. Take Amazon, which focused on reimagining supply chain for consumer ease. The company’s founder and CEO, Jeff Bezos, was recently named the richest person in modern history with a net worth of more than $150 billion -- but he says he still reads emails from his public inbox (jeff@amazon.com) to stay involved with Amazon’s customer base. 4. Know that power has shifted from producers to the people. In Sculley’s day, he says, the creators of products or services with the most resources often achieved the highest levels of success. He remembers that when PepsiCo created Mountain Dew, building the marketing strategy took seven years. “No one would build a brand like that today,” he says. The power dynamic has shifted from producers to consumers, chiefly via the power of individuals sharing their opinions over messages with friends, reviews, blog posts and social media. “We are going through the most amazing change in marketing since it was first created,” Sculley says. When bolstering your business idea, don’t just think about the product -- think about the experience as a whole. The idea that consumers value brands that provide experiences is part of why companies such as Stitch Fix -- which sells personalized styling and on-demand clothing deliveries -- are on the rise. Through word of mouth and promoting a unique experience, Sculley says, you can build a profitable brand without spending much on advertising.